Discussion in 'UFC Discussion' started by Dsingleton7, Apr 8, 2019. I watched the Forrest Bonnar fight and I was interested. I wasn't hooked though it just seemed like another street fight to me. A buddy of mine lent Silva & Leben to me on DVD when I was like 17. I was hooked after that. 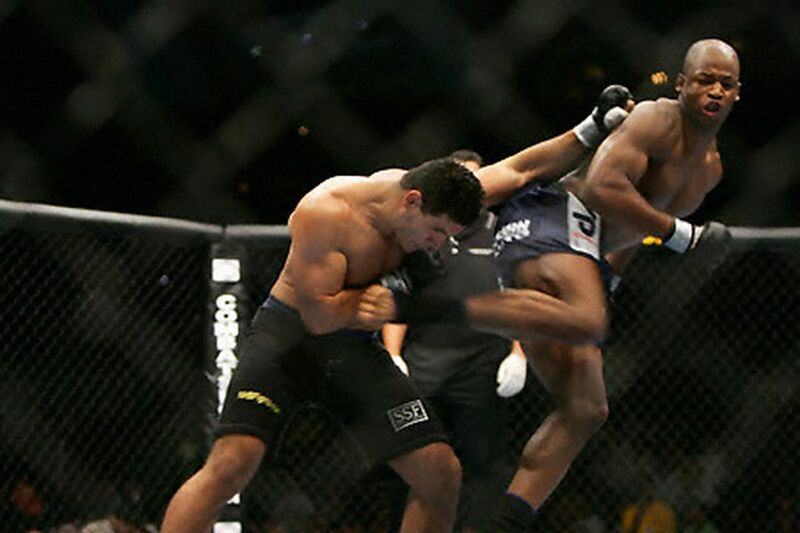 Watching Anderson Silva ninja a guy without getting touched had me jumping around my living room like a crazy man. and I switched from boxing to kickboxing classes that same month. What fight got you hooked. GhostNote, AZ103, ABSthetics and 4 others like this. GhostNote, Rod Farva, Wordwiz and 33 others like this. Not a specific picture as such, but I really started watching mma after seeing Ken Shamrock if memory serves me correct. I distinctly recall never seeing him fail to look after a dog during his ufc run! JunkieJoe, Mr.Maelstrom, ChumpyKiwi and 11 others like this. Mr.Maelstrom, CircusMidget666, AZ103 and 5 others like this. Get these Hands, Subfighter and Typrune Goatley like this. I actually don't remember this fight. pick999, AZ103, billharford and 1 other person like this. JunkieJoe, Mr.Maelstrom, AZ103 and 11 others like this. David Loiseau vs Charles McCarthy. This fight literally hooked me to MMA. Mr.Maelstrom and drbolony like this. HwoarangStyle, Wordwiz, Mr.Maelstrom and 12 others like this. 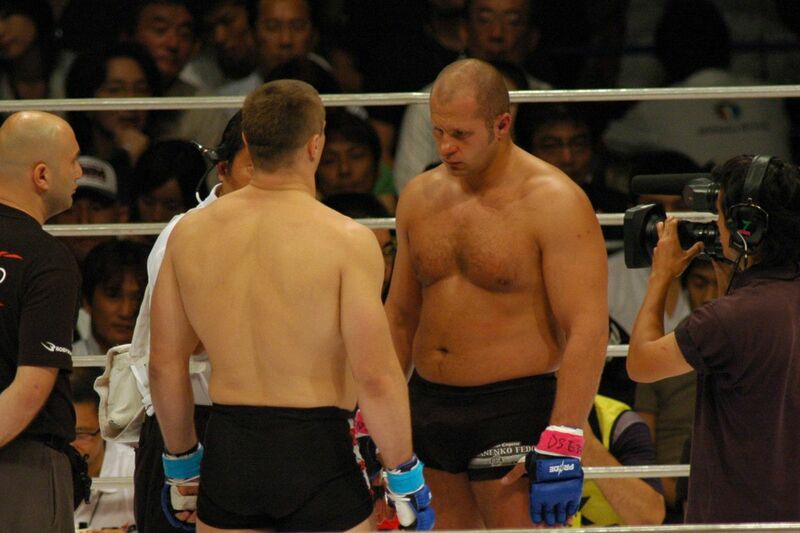 I watched UFC casually up until watching Wanderlei Silva in pride. Pride never dies. JunkieJoe, AZ103, JKS and 9 others like this. 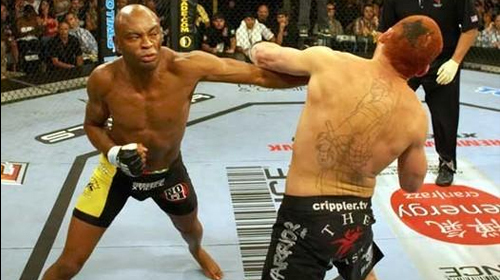 GSP vs. Mayhem made me really think that anything is possible. Spinning back kicks, axe kicks ect. Buff, Butcher101, BarryDillon and 1 other person like this. pick999, Mr.Maelstrom, AZ103 and 11 others like this. I watched season one of TUF. I didn’t even realize there were events till after watching the whole season. They were running promos for one of the Tito chuck fight. I stole my moms credit card and watched it after she fell asleep because she’d never let me watch fighting. FlowchartRog, AZ103, SCTrojans and 3 others like this. 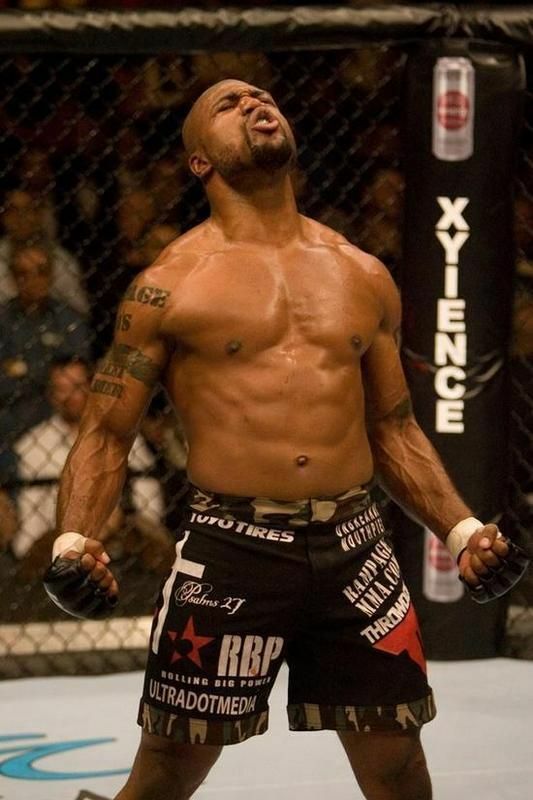 Rampage knocking out Chuck was a big one for me too . Do you remember what your mom did when the monthly credit card bill came around? FlowchartRog, AZ103, Espresso and 2 others like this. Ruke Doufus, PinkFlammingo, FlowchartRog and 10 others like this.